Both teams have had contrasting fortunes so far this season and on the surface of it, this should be a game that the away team can take control of. However, the first home game of a New Year is likely to provide some impetus to Zvezda, so it may not be as straightforward as some people think. The home team lost out last week and they know that they face a very difficult challenge in this game. A 5-5 record in the regular season and a 0-1 record so far in the Top 16 mean that the side from Belgrade will be desperate to get a win in this game and if they do, they will be looking for Maik Zirbes to make the difference. Zirbes has managed to provide an average of 16.8 points per game this season, which is a big reason why the Belgrade side managed to squeeze out of the regular season into the Top 16. An 8-2 record in the regular season and a win in the opening game of the Top 16 leaves the team from Istanbul feeling rather confident and pleased with themselves. 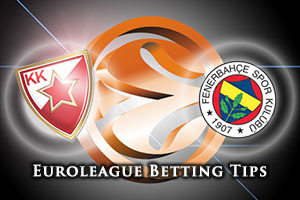 They should be optimistic heading to this game and if Jan Vesely can deliver the form he has shown this campaign, the Turkish side have an excellent chance of enjoying their trip to Belgrade. Vesely has provided an average of 13 points per game this season but it has been a strong team showing that has pushed Fenerbahce through this campaign. Luigi Datome is another who has impressed so far this campaign and he could have a role to play in this game. The away team have the slight edge for this game according to the bookmakers. 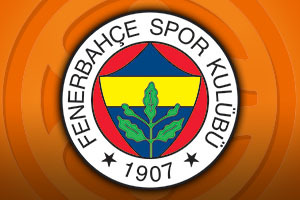 You can find Fenerbahce Istanbul at -3.5 at odds of 1.90, which is well worth getting behind. When it comes to the Over/Under market, you should be looking to go OVER 152.5, which you can find at odds of 1.90. Bet Now!